From 1st September, all users of the BBC’s iPlayer will be forced to hold a valid TV Licence before catch-up and live tv can be viewed, following a change in the law. The new rules apply to all devices used to access iPlayer, including laptops, smartphones, tablets, TV streaming devices and games consoles, as well as through third-party services such as Sky, Virgin or BT. The group most affected will be students away from home, who typically view the BBC on a laptop or tablet. Up to now, the law allowed free viewing of catch-up content, with a licence only being required for live TV. The change was set in motion by the former Culture Secretary, John Whittingdale, who lost his job in the recent cabinet reshuffle. Services from Sky, ITV, Channel Four, My5 and Netflix will be unaffected. There has been a BBC ID login box for some months at the top of the iPlayer window. Login will become compulsory from 1 September. The BBC iPlayer will cross-reference the UK’s national TV licence database. It’s unknown how many devices will be allowed to use a single TV licence. There is almost certainly likely to be a restriction, to prevent abuse. In the past, multiple registrations in the hundreds at the same address were used by mainland Europe resellers of Sky subscriptions, which were “overlooked” by Sky Security. It remains to be seen how vigorously the new BBC restrictions will be enforced. The hugely-popular BBC iPlayer is widely accessed around the world through the use of VPN and proxy services, which defeat the current geographical restrictions. Non-UK VPN users will have no British address or TV licence. The £145 annual licence cannot be purchased outside the country. 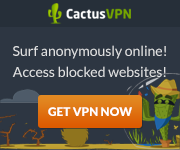 Many VPN and proxy services are likely to close. Pirate streaming services in mainland Europe may be affected, particularly those which re-broadcast streamed BBC iPlayer services. Pirates who illegally take a feed fromINTELSAT 907 27.5W will be able to continue until action is taken to secure the satellite. BISS keys which were being changed regularly are no longer being updated, which may signify an imminent change in encryption method, or closure. Pirates with head-end feeds inside the UK or near continent, such as FilmOn, will be outside the scope of these changes.